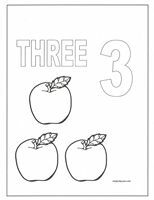 Number coloring pages can be used as an add-on when teaching children the concept of numbers. And, we all know, it’s a concept that must be taught. We use numbers throughout our entire lives and the first step is number recognition. Only then can we move on to counting, then adding and subtracting, and… well, high school algebra. 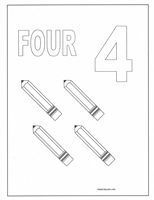 Use the coloring pages to reinforce any number lesson plans. And then,… keep counting as children need the repetition to learn. 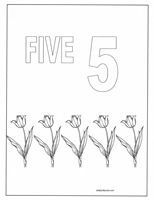 The pages were purposely designed to be simple with objects children will recognize. Simply choose the number of your choice and print out as many copies as you need. Point out numbers every chance you get. When you are out-and-about and around the house. On street signs, house numbers, in books and magazines, on calendars or anywhere else you happen to spot them. Read books that involve counting. Your local library is a great source for materials of this kind. 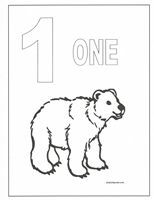 A toy telephone or simple calculator will help children recognize the numbers 1-9. Look online for print-outs of traceable numbers. Look for opportunities to count. Count toys, books on shelf, steps going up or down, etc. 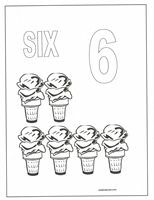 Play easy games that involve number recognition and counting. Let children help prepare a meal. There will be plenty of opportunities to count ingredients or “stirs”. Don’t forget about your home computer. 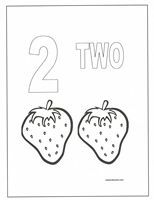 There are many online games geared to preschoolers that are perfect for learning to count. Remember that repetition is key. The more a child is exposed to the same concept, the better their retention will be.